The time for change is now. Change can be exciting. Change can be risky. Change can be rewarding. Listen up students, we’ve got something in store for you! We believe managing your money should be as simple as possible, because why shouldn’t it be? We want to make sure you understand how you can spend your money, how you see your money, how you send and save your money. And we’ve managed to do this with our beautifully slick card and app. If you’re interested in signing up to a free Curve card and receiving a free £5, use the code: NRYRABAE. You can download Curve by clicking here. As a student, managing money in more than one account can often be difficult which makes budgeting for the term even harder. At Curve, we are truly solving this problem. Now for the first time, you can manage all your spending across all your banking activities..
On the Curve app, you can now see all your cards and finances in one place, which makes it much easier to keep track of that late-night spending on kebabs! Step aside Doc and Marty Mcfly, Curve have well and truly invented time travel and we didn’t need a DeLorean to do it! Ever used the wrong card to pay for lunch, clothes, or even a holiday? Ever said something to the person of your dreams and instantly regretted it? Well, you’ll need to give us a bit more time on the latter but our flux capacitor will be able to make sure you never pay for something with the wrong account again. For purchases up to £1000, you get 14 days after the transaction has been made to decide where you would have liked the money to have come out from and let Curve take care of the rest! That’s right, you read that correctly. Long gone are the days of worrying about using your personal student account or any other local current account abroad. One of our most exciting features here at Curve (and most useful for many students signing up) is that you will be able to enjoy fee-free foreign exchange* and fee-free ATM*. 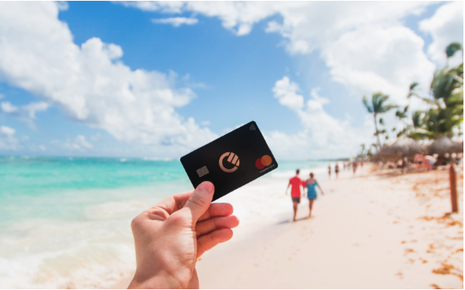 For Curve Blue card holders you can withdraw up to £200 per month with no currency conversion fees and spend up to £500 abroad, after that there’s a small 2% charge. For Curve Black users you’ll be able to withdraw up to £400 per month before the 2% charge and you have unlimited spending abroad through any bank account of your choice! We know you students like to enjoy summers abroad whether that’s trekking through south-east Asia, volunteering, or gaining valuable work experience. Now you won’t have to worry about those pesky hidden transaction fees and still have the benefits of using any of your regular high street bank accounts. Perhaps you’re a foreign student studying in the UK or anywhere in Europe. You can now have the luxury of using your local national bank account in the UK by adding it to your Curve wallet and benefiting from all Curve’s fantastic features! Carrying numerous cards on you at once is a pain, whether you’re on a night out, a team social or just about anywhere. Security is a huge priority of ours. To eliminate any fears or worries of using your card, our clever tech team have made sure all your card details and security info is encrypted using advanced encryption technology. With the touch of a button on your Curve app, you can also instantly lock your card should you ever misplace it. Freebies? We’ve got it covered. There’s nothing better than saving money, whilst also spending it. This is why we have our reward scheme set up so you can save money at all the regular places we know students are spending money. If you order food with Deliveroo or shop at Tesco, Starbucks, Amazon or other retails from our select list, then you can get 1% instant cashback at a selection of these as an introductory 90-day offer* and spend it straight away. Many other challenger banks and travel cards involve loading money from one bank account to another for when you want to use them, be that in at home or abroad. With Curve, there’s no loading that needs to be done. As soon as you connect all your cards to Curve, you are ready to go and spend and receive great foreign exchange rates! We want to make your lives easier with fewer steps to reach the desired outcome. So never wait again to load your card with money, just try Curve. Being a student isn’t always just fun and games, even though everyone likes to tell you it is. Aside from the coursework and exams, budgeting your student loan is someone nearly all students need to do, and let’s face it we can all be better at it! Keeping track of your money with the Curve card is a great way to do this. 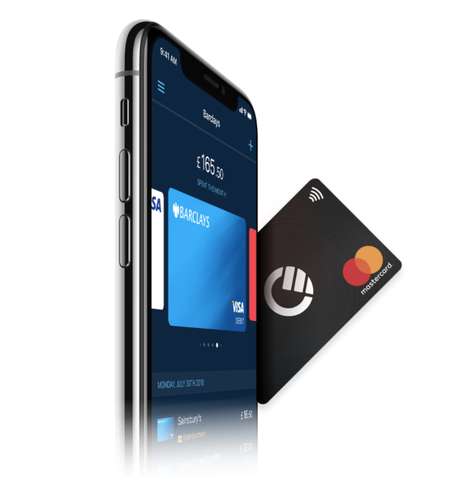 With their clever app you can now manage all your spending across your bank accounts in one place, but more on this later and how you can earn a free £5 with Curve! Try to plan ahead when buying food. Buying in bulk for the week, or even splitting a food shop with a housemate is one of the best ways to make sure you won’t be overspending on food every day. Instead of spending £3-4 every day on coffee on the way two and from lectures, maybe think about taking a thermos with you and perhaps a few homemade snacks made in your room (or even a weekly bulk buy of Supermarket own brand snacks to last you the week, as someone once said every little helps! Try to avoid late night takeaways as well. Yes we know they are one of the greatest wonders of the world, and who are we to say -never enjoy a late night kebab or pizza after a big one, but try cutting down on them at least. If you look after the pennies the pounds will look after themselves. Student discounts, don’t sleep on these! There are so many amazing student discounts out there nowadays, being a student has never had so many benefits before! Many students nationally are more cautious about purchasing the NUS Totem card – but is the case that many Cambridge shops and businesses will simply accept your University ID Card as proof you are a current student here – so you still get your student discount! Probably the most simple one on paper, but the hardest to execute. Know your limits. Don’t go out treating yourself living like royalty the day your student loan arrives – even if it is tempting! Try working out exactly how much you would need to spend per week, or even per day, to know that when it comes to the end of the month you aren’t completely out of pocket. Having visibility over your spending is so important. There are so many great tools nowadays to be able to do this, as we mentioned above Curve is a great way to do this. With Curve, you can add multiple bank cards to the app and will only have to ever go out with one card on you. On the app just simply to choose where you want the money to come out from when using the card. You’ll now be able to see how much your spending from your student account and any other credit or debit accounts you have. As well, after you make a transaction you’ll have 14 days to change from where the money has come from. Cambridge of course, does have strict expectations that undergraduate students do not work during term-time, and restrictions apply to graduate students too. Therefore it is essential, if that you make plan properly to make of part-time and short term employment opportunities during the vacation periods. Temporary work at the numerous Oxbridge ‘summer schools’ are a potentially lucrative source of income” – as demand for Cambridge students to take up a wide range roles remains extremely high, even during this challenging economic climate! Curve also does have brand ambassador roles for eligible student which you can check out here. If you are interested in the Curve app to help with your finances, use this referral code NRYRABAE to get a free £5 when signing up! You can download Curve by clicking here.